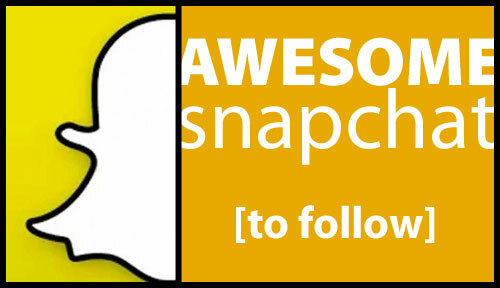 If you ever get tired of seeing your friend's 57th selfie that day, or want to rest your eyes from nakey pics, I've compiled a list of awesome Snapchat accounts for you to follow. Shameless first spot is my account, so add me! Keep reading, trust me, I included cooler people in this list. I snap about all sorts of stuff. I'll let you know when I post new stuff on this site. I also do snapchat art, interactive stories, shoutouts, collaborations, celebrity interviews and adventure vlogs. See Story Reruns.